“Good morning girls and boys. Once upon a time in Auckland there was a group of lovely Mummys and Daddys who came from a little tiny beautiful island called Niue. They were beautiful people who wanted their beautiful girls and boys to grow up ready for school, and having fun, and being able to speak two languages. Yes, weren’t those girls and boys lucky? But the Mummys and Daddys from Niue needed a house for their Kindergarten. Do you know what a kindergarten is? It is a lovely little school where girls and boys just like you go to play and to learn and to do things that will help them when they get to school. Well, the Mummys and Daddys from Niue were lucky and found an old schoolhouse that was no longer being used. It wasn’t very nice but it was better than being outside when it rained! Have you been outside when it rains? It isn’t very nice, is it? All the girls and boys and their Mummys and Daddys used this old schoolhouse for many years because they weren’t able to get the men and ladies from the big office building in town to agree to help them get a new kindergarten. The old schoolhouse became quite a tumbledown affair but still the girls and boys came to the kindergarten. But, one day, the postman brought some good news. Do you remember what a postman is? Yes? The nice postman brought the Mummys and Daddys a letter that said that the men and ladies from the big office building in town were going to help them get a new kindergarten. Everyone was very very happy. Along came the builder, his name was Bob. Along came the truck with the cement. And another truck with some timber. Bang, bang, bang went the hammers. Squeal, squeal, squeal went the electric saws. And soon a new kindergarten was built. Shiny and new, after all those years of waiting, the Mummys, Daddys, girls and boys from Niue were going to have their brand new kindergarten. They were all very happy. But there was one more job to do. They had to build a sandpit. Do you like playing in a sandpit? Along came a little digger to make a little hole for the little sandpit. Then guess what happened? The little digger dug up some very nasty yucky stuff called asbestos. “Oh!” cried the digger man, “Oh!” cried the officials. Asbestos is very dangerous when it is dug up by a digger. And so they chained the gate, locked the doors and went away to find out what to do. And they never came back. The Mummys and Daddys told the men and ladies in the big building in town about it but they must have been very busy people because nothing happened. The men and ladies in the big building in town were trying to find out who had to get all the nasty asbestos out of the hole. And still everyone waited. Six months later – do you know how long six months is? Yes it is one whole spring and one whole summer. That’s a long time isn’t it? Well, six months later the new kindergarten, all shiny and bright was still waiting for the digger man and the other workers to come back and finish the sandpit. “Why are we waiting?” asked the Mummys and Daddys. “Why can’t we play in our new kindergarten?” asked the girls and the boys. Then one weekend, when everyone had gone home, some naughty people broke a window and climbed into the new kindergarten. They did some naughty things like throw paint around. They broke windows. They “trashed” the place. So the girls and boys from Niue still go to kindergarten in their old tumbledown schoolhouse. The new schoolhouse is still empty but now it is also badly damaged. The sand pit is still unfinished and the boys and girls and Mummys and Daddys are sad. They have waited for ten years for their new kindergarten. One day Bob the builder and the digger man might come back and clean up the new building. Then everyone will be happy. Did you like that story? Tomorrow we will have a happy story. Happy New Year! Well it is has been for the first four weeks and then all the political parties decided to tell us about their policies for education in this Year of the Horse. And what did we hear? First there were the Greens – poverty, poverty, poverty was the cry. This was a replay of the 1980’s when educators seemed unable to get past the fact that some students were hungry, in fact they were so obsessed by this that they forgot to teach the students how to read and write. Later in the weekend Labour was to get on this band wagon and opt for school lunches for the hungry. There are many systems that provide food to students – the US and the UK both use eligibility for a free school lunch as a key measure of poor learners who learn poorly. The good news is that I am certain the students enjoy the lunches (although Jamie Oliver has a view about how good or nutritious they might be). But there is not a shred of evidence that there is a connection between the provision of free school meals and improvements in achievement on a scale that would suggest that it is other than a social gesture. Labour made a grander entrance on the Early Childhood Education stage. Full marks to them for noting that ECE is important – it is more that important, it is central to sound achievement and equitable outcomes. But Labour didn’t wish to be too complex about all this. When the 20 Free Hours was originally introduced there was no discernable increase in access to ECE services. Similarly when the scheme was freed from any targeting there was again no discernable increase in access to ECE. Those who were using the resource were simply increasing the amount of ECE they accessed thereby consuming more resource with a disappointing and continuing lack of access for those who are unable to go to a quality ECE provider. Most of these students who are denied the ECE benefits are Maori and Pasifika and they live in communities where there are simply not enough places. Take the Tamaki area in Auckland as an example: there are 7,000 little ones under the age of five who are trying to get into the 2,000 places available. You improve access to ECE services through providing more places. Labour tossed off a quick promise to “build more ECE Centres in high-need areas” but this was something of faint hope and perhaps an afterthought overshadowed by and of lesser priority than the popular promise to spend on seeing that existing services will get higher subsidies so as to have “100 percent qualified staff” – the barons of the sandpits rubbed their hands with glee – higher costs mean higher subsidies and higher fees, excellent for the balance sheet for the large centres that offer ECE services as a business rather than a service to the community. You only have to look at where the new multi-million dollar ECE places (I almost wrote palaces) are being built – they are on the commuter roads where those in work are able to drop their little ones off at our expense while they go off and earn quite good money in a job. The ECE 20 Free Hours is simply a badly targeted resource that has not worked. Of course it appeals to the middle class who have jobs and money and this is clearly a key target group for Labour. Otherwise how can you describe a baby bonus for the 95% of babies in families with incomes up to $150,000 as anything but a universal benefit? Again, those without a job, or ECE, continue to swirl in the poverty trap that generation will perpetrate. That leaves National’s “let’s do something about leadership in schools” cluster of activities, policy initiatives that identify the school leaders who perform and give them a role in which they have a license to change the quality of leadership in schools beyond their own. This policy is a bit of a body blow for the educational leadership industry found in the universities which put on a brave face about the years of first principals, aspiring principals and the raft of qualifications in educational leadership which appear neither to have cut the mustard nor to improve achievement. This is the policy that seems most likely to succeed. 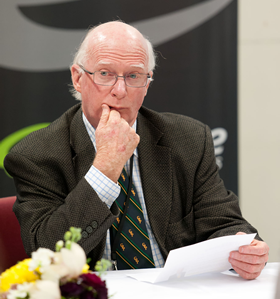 Educational Leadership is at the heart of lifting educational achievement and there have been grumblings about the quality of school leadership in New Zealand for some time. The additional allowances are generous so there is no excuse for involving only those who have proven to be capable in leading teachers. It is interesting to note that in Finland, every pre-schooler gets to go to an ECE programme, every student gets a free school lunch and nobody gets to be a principal without the additional qualifications and the experiences that the position requires rather than being selected by the educational equivalent of the local bowling club committee. At last we seem to be taking heed of those systems that are successful rather than claiming as our birthright the right to replicate the failed policies and doomed practices of the Anglo-Saxon systems. cross-ministerial initiatives to address the back-log of educational failure – the NEETs of which New Zealand continues to accrue amazing numbers of young people not in employment, education or training. It looks as if 2014 is shaping up to be somewhat unusual for education in New Zealand – three key developments are happening. In March a set of Education Festivals will be held in Auckland, Wellington and Christchurch. Developed by Cognition Education and with the four key themes of COLLABORATION, INNOVATION, COHESION and CELEBRATION. The festivals are co-ordinated by Cognition Education with the support of the Ministry of Education and will coincide with the 4th International Summit on the Teaching Profession, jointly hosted by the OECD, Education International and New Zealand through the MOE. The festivals focused on two key dimensions, the performance of students, teachers, schools and institutions in our community and the proud record New Zealand has inspired improved educational achievement in other countries by sharing our expertise and systems. The press education receives is generally at best miserable and at times plain negative. I have frequently pointed out that the profession too often contributes to this. Here is a golden opportunity for education to put on its best clothes and strut its stuff in public and rather then spout clichés about a “world class education system” , to allow the outcomes of the work of schools and other education providers be seen and enjoyed by a wider community. Let the work and skills of our students be the push for the excellent brew that comes out in most schools. An added opportunity is to be able to do this while an international community of educators is here as our guest – a chance not only to show and teach but also to listen and to learn. The participating countries at the 4th International Summit are the top 20 education systems as measured by the PISA results and the five fastest improvers. This is a unique opportunity for New Zealand to learn and to gain insights into how we can match achievement data with greatly improved equity measures. Both the festival and the summit will allow us to share insights with others and to learn from the insights of others. This is not a bragging contest but potentially could be a fine week for education n New Zealand. The Minister of Education Hon Hekia Parata is behind both of these initiatives and her leadership deserves strong support from the sector and from all levels within the sector. The third element that could lift the image of education in New Zealand is the announcement, also from Minister Parata, of the inaugural Prime Minister’s Education Excellence Awards to be introduced for 2014. The tertiary education sector has had just such a set of awards for about 10 years and they have been markedly successful under the astute leadership of Ako Aotearoa. This new set of awards will focus on early childhood education, primary and secondary schooling and collaboration between secondary schools, tertiary providers and employers. This last award – collaboration – is particularly pleasing coming at a time when it is emerging that pathways between sectors will be a critical feature of the new environment that will allow us to address equity. Ands that brings us back to the festival and the summit. We need to see these three developments as a set of tools that the education system can use to create a better education sector, one characterised by collaboration, by clear evidence of excellence and by a commitment to improved equity of outcomes. We will do this in part by seeing collaboration (bringing the fragmented sector together for the festival) and celebrating (excellence in teaching through the awards) as necessary to lifting our game. Necessary but not in themselves sufficient – long term change will require us to make a habit of collaboration and celebration. Roll on March I say. Last time I made contact with you I noted a few “game-changers” and promised to follow this up with some “show -stoppers”. These are things that cannot be put aside – they have the capacity to make or break and the choices are ours to make. Not surprisingly I have placed the first game-changer at the top of my list of show stoppers. If we don’t solve the issue of access to early childhood education places urgently we will get onto the greasy slide downwards where the backlog of educational failure starts to swamp the system. Parts of the US are already there with some communities in California spending huge amounts to get students through the system so that they can go on to community colleges where they focus on remediation course because they have learned so little at school and then leave community colleges after 15 years of schooling still unprepared for employment and/or further education and training. I had water a leak that investigation showed was down near my gate where the pipe entered the property. It was no good trying to fix the leak inside the house where we were cosy and warm. Nor was there any point is tackling it at the outside tap where the light was good. It was only solved when the leak was fixed at the gate. Our education pipeline will continue to leak badly until we address the leak near the gateway to education. When I visit the US there are three New Zealanders that people have heard of – Sir Edmund Hillary, Dame Marie Clay and Sylvia Ashton-Warner . Two of these are teachers and both focused on reading and language as the foundation of all learning and indeed in the case of Ashton-Warner, the development of identity. New Zealand was seen as a leader in teaching reading. We were better at teaching reading to monolingual youngsters than to the rest but nevertheless, we knew how to do it. Why then do so many students fail to get a basic grounding in the real foundation skills? Have we lost focus? Do we now lack the skills? Have we become too clever for our own good in turning our backs on basic skills taught with pretty rudimentary materials, School Journals and Janet and John . Schools are better equipped, libraries are better stocked and new helping technologies are available to an extent that has never before been the case. Why then does anyone fail? One key area of failure is the continuing inability to grapple with the issues of students who bring another language into the classroom. It goes well beyond mere words. A colleague in London concluded a paper he had written on this topic with the sentence – “At the end of the day, Sharma walks home to India.” As Russell Bishop says – Culture Counts. I have before said that what is colloquially described as Tomorrow’s Schools should be looked at closely. But the lens that we use when doing this needs to be one that enables us to see a national system of education in which the sum is greater than the parts. Currently, the sum is somewhat less than the parts as overall performance continues to disappoint. The Minister was right to signal that it is time to look at the decile ratings applied to schools – they have become a damaging dog of a thing. Worse than failing to bring about the improvements in performance and were that were claimed for the ratings, they might well have contributed to the frustrations. And we must recapture the notion of a national system of education, not just schooling. It will require parity of esteem between all parts of the one system, each making a critical but distinctive contribution. I do love the feel of Finland’s approach – similar qualifications for all levels, one teachers organisation (ECE to tertiary) and a national commitment to a national system. And that might be the solution to the next show-stopper. Show-Stopper #4 Increasing the public esteem of education and those who work in it. In Finland teaching is the most highly esteemed profession. Can we achieve that in New Zealand? Of course we can simply by…. and I am sure you can think of others. But first we must want to be a professional and want to be one profession. Goodness me, I have run out of space and I haven’t mentioned a couple of other huge show-stoppers. They will keep for another day. There’s more than one way to reach the stars! Rather than let off a few sky rockets on yet another silly day we remember, hard on the heels of that even sillier day called Halloween, I thought I would throw a few ideas up in the air as we head towards the end of the year. These are called game-changers. They would lift educational performance in New Zealand. We have known most of these for a long time but other things get in the way. On Thursday I will give a complementary list of show-stoppers. Principals of secondary schools are welcome to use these lists as they put the final touches to their prize-giving addresses. It astounds me that in this rich country we still have uneven distribution of opportunity for early childhood education. I do not need to repeat the evidence, it is over whelming. And the lack of equity in the area is hidden by two factors – quirky gatherings of information about actual participation (likely to be lower than reported) and the evening out of statistics into regional and national figures. A stark statistic: In the Tamaki suburb in Auckland there are 7,000 youngsters under the age of five and there are 2,000early childhood education places. A quick but excellent fix: In areas of low participation, add an early childhood facility to each primary school – same Board, same management, shared outdoor facilities, great savings. Best of all, it would be goodbye to the entangling bureaucracy that surrounds the development of conventional centres. I might be naïve but it is bizarre that in the country that led the world not only in reading performance but also in the teaching of reading that so many children fail to reach a safe standard in the eight years of primary schooling. The same can be said of mathematics (sometimes called numeracy). Add to the list the development of knowledge, social skills, preparedness for further education, and exposure to arts and practical skills all in a context of new technologies and you would have not only an interesting programme but one which didn’t place so many students on a trajectory of failure. A stark fact: Students show a decline in learning in key areas between Year 4 and Year 8. A quick but excellent fix: Demand that primary schools do less but that they do it to higher standards. The foundation skills are taught in primary schools. Isn’t it ironic that the term “foundation skills” has been transferred to the first several years of post-secondary education and training for those who have failed to accrue such skills and this is clearly too late. 3. See a clear distinction between junior and senior secondary schools. Education systems that we admire and would wish to emulate invariably have a clear distinction between what is in New Zealand Year 10 and Year 11. The first two years of high school are years of finishing off the processes started in primary school and the preparation for discipline focussed study that is in a context of future employment. Years 11 and 13 in these overseas systems are clearly differentiated with the availability of clear vocational technical opportunities emerging to complement the university track (which is working well in New Zealand). In other words, young students have choices about their futures. Another shared feature is that at that age students are credited with much greater maturity but also supported to a much greater degree. The style and organisation of schooling is more akin to a tertiary institution than to the primary schools from which the secondary schools evolved. A stark statistic: By age 16 years 21% of 16 year olds have dropped out of New Zealand schooling system. A quick but excellent fix: Sorry folks, but there isn’t one. This area is where the most comprehensive reforms are needed. Put simply, apart from the track to university, the New Zealand senior secondary school is broken. That style of education no longer suits too many of our young people. Don’t despair – we share this with our sibling systems in Australia, the United States, the UK and most of Canada. WE need to look elsewhere for evidence of what works and then craft our own responses for our particular circumstances. 4 Cement the output of graduates from tertiary education to employment. There needs to be a clear line of sight between tertiary programmes and employment. I know that the universities resist any such notion – I have been told by those who know that such a connection is not helpful – “We do not train people, we educate them.” Just think of it, all those untrained doctors, ophthalmologists, engineers, lawyers – what rubbish such a claim is. And in light of the unrelenting marketing of universities as the place to secure a future, to get high earning powered positions it is simply not sense. Tertiary education is expensive both for the taxpayer and for the students who are the sons and daughters of taxpayers. They have a right to know that their investment in education at a tertiary level be it at a university, an ITP, a PTE a Wananga or wherever will lead to a job. If a degree in business has prepared you to look after the valet parking desk at the airport (as was a case I came across recently) then it can only be concluded that the programme offered little in the way of access. A stark statistic: About one half of those who start a post-secondary qualification actually complete it. A quick but excellent fix: it seems as if we are drifting towards a situation where tertiary providers are to be held accountable for the progress into employment of their graduates. If this were applied to all levels and types of tertiary education it might well be a good thing. Of course it would have to be first accepted that a key purpose of post-secondary education and training is to get the appropriate job. This might also require a better connection between demand and supply in the labour market. Consideration of these a matters need to be sped up. We all know about keeping it simple (stupid) and in these somewhat complex times, it feels like a good way to go. For those of us working in schools, we often reflect on what is working and what needs to change. The simple solutions often feel like the right solutions. In the early years of schooling, we know that effective early childhood education usually ensures a positive transition to the more formal learning of the school classroom. We know how an early intervention especially in year 1 and 2 can support students who struggle with their early learning. We know that if this is an individual programme, or a programme involving just a small group of children, there is often a lot of additional progress made as the teaching can be tailored to the specific learning needs of the children concerned. It can be as simple as that and I can’t think of any primary school principals who wouldn’t welcome the funding to employ teachers to implement a range of individual and small group instructional programmes in their schools. We know that they work. Recently on “Campbell Live” there was a refreshing story located in Auckland about a group of impressive young men from St Peter’s College in Epsom. In their discretionary time, they assist young students with their reading at St Therese School in Three Kings. The teacher who coordinates this support programme commented that the regular individual assistance really helps to improve the children’s reading capabilities. The young men described their pride and satisfaction in contributing to the programme. It struck me how simple and effective the programme is with no cost involved at all. At our school, a group of granny helpers have supported one of our teachers for 16 years. These women come to our school weekly and work with individual students throughout the year. Like at St Therese School, we see exciting improvements in reading achievement. The helpers work with the same young students regularly over the year, they get to know them really well and together, they ultimately share the buzz of success. I know that programmes like these operate in many many schools up and down the country. The young children involved enjoy success very early in their schooling. Once their basic reading and maths skills in particular are established, we see this success building on yet even more success. In each of these examples of a simple programme, there is no cost involved and there is plenty of evidence that they work. Imagine the outcomes if our schools were resourced in our MOE assured staffing that enabled us to employ additional staffing for specific learning support in the early years. Wouldn’t it be great if we could ensure that each and every student who needed a personalised early learning intervention was assured of this? And wouldn’t it be great if the intervention could be sustained, if required? One of this government’s Better Public Services programme targets is 85% of 18 year olds achieving NCEA level 2 or an equivalent qualification in 2017. Maybe the government would be better placed to achieve this if schools were given additional resourcing to implement early intervention programmes for the students that required them? It doesn’t seem stupid to keep it simple. Pathways-ED: Is "most" good enough? Auckland as a city has an ambition to be the world’s most liveable city, it’s something of an organising principle for aligning the efforts, goals and direction of this newly created entity. One of the outward signs of this is the publication of a “Scorecard” that rates progress on a number of measures. In education the measure is the number of students in schools that attain NCEA Level 1 Literacy and Numeracy. First, it takes no account of those who are not in the NCEA net. We know that 21% of 16 year olds have already left school and are most likely not to have even attempted NCEA. The failure to take account of cohort measures continues to mislead us in our assessment of progress. That is why I presume the Government settled on “all 18 year olds” as the group that would be measured for the Better Public Service Goals. Secondly, the performance is very unevenly reflected in the various ways that results can be diced. Along ethnic lines there are still worrying differences between Pakeha students and those who are from Maori and Pacific Island communities. Auckland carries a responsibility for a very significant number of young Maori and Pacific students, a greater proportion than other cities and global measures do not reflect progress when it occurs when they are reported as one measure. That is why I presume the Government settled on the principle with its Better Public Service Goal – 85% of all 18 years old having NCEA Level 2 (or its equivalent) – and stating clearly that the target would apply to each and every group, Maori, Pacific, Special Needs, Migrant, Pakeha, Rural, City and so on. Thirdly, the Scorecard is not bound by target or time; it simply reflects what is called progress. But progress to where and in what timeframe? How will we know when the education system is performing well and contributing what is expected of it to the world’s most liveable city goal? Knowing simply that we are “getting better” by small increments” has a feel good factor but in reality might be lagging behind the pace of improvement needed. That is why I presume the Government settled on establishing 2017 as the point at which the Better Public Service Goal should be met. Now the explanation given in the Scorecard is that NCEA Level 1 Literacy and Numeracy is “the equivalent of School Certificate”. Well, it is certainly not. Whether you use the old SC (200/400 in your best four subjects including English) or the later version (single subject passes), NCEA Level 1 Literacy or Numeracy nowhere near equates to neither. No one is going to burst onto the world of work or into a career with that as their qualification. The irony of all this is that the Auckland Council somewhat led the way in settling on NCEA Level 2 as a sensible goal. That is because it reflects what can be considered as a satisfactory measure of a level of success at school. But even NCEA Level 2 is meaningful only to the extent that it is used as a foundation on which a post-secondary school qualification is gained. Auckland Council “joined the dots” in its Auckland Plan and in its Economic Development Policy ahead of the Government settling on its Better Public Service Goals. And both were right to do so. I have long promoted the notion of “joining the dots” – access to early childhood education, NCEA Level 2 and a postsecondary qualification. All here are essential markers on the pathway to a secure future. Hon Nick Smith, then Minister of Local Government, in the last days of his tenure of this position, criticised the Auckland Plan for having such goals. Soon after we were to see the Government similarly “join the dots” in the Better Public Service Goals. A seamless progression along the pathways of education at the pace that sees all students hitting the NCEA Level 2 (or its equivalent) marker by about the age of 18 years will lead to an educated and knowledgeable city. And a city that is educated and knowledgeable is likely to become a very liveable city because it will have opportunities for employment, quality democratic processes, vibrant art and culture features with participation, leisure and sport opportunities. Above all it will have a performing economy with growth that will sustain now over a third of the population of New Zealand. Where you place the target tends to be about where the arrow goes. Let’s stick to worthy targets. There was a good response from the piece last week about the population changes facing New Zealand as the growth focuses on the Auckland Region. The fact that 38% of New Zealand’s population would be contained in the Auckland region quite clearly has implications for all other regions. I suggested that the changes proposed for Christchurch should be the start of a national discussion on the forms of education and training that are appropriate for the future. Quite clearly Auckland will change quite dramatically and the large amount of green field development will see large areas requiring new schools, better transport and increased education provision right through the system. So here are some suggestions. New early childhood education centres and schools will be required as new communities are developed particularly in the north and the south of the region. It is wishful thinking to believe that this can happen without changes to existing provision. Some schools will close; others will need to get larger; some will merge; and so on. It will be Christchurch come to Auckland albeit a much gentler shake-up. As increased interest in the schooling sector starts to promote the notions of different ways of working, of a multiple pathways approach to senior secondary schooling, of increased growth of secondary / tertiary interface programmes and other new ways of working, the face of the secondary school system will inevitably alter. Auckland has recently seen the building of Junior and Senior High Schools without any overall view as to the role of such institutions and the impact of this development on the wider system. So how will Auckland change in its education provision? For a start, it is expensive to provide great increases in university places. I suggest that the Epsom and Tamaki campuses of the University of Auckland be converted into “community colleges” taking students from Year 13 and combining it with the first one or two years of an undergraduate degree. This would create space in secondary schools and at the university where the impact of such a move on undergraduate / postgraduate ratios would be advantageous. Equitable provision would probably demand that such a community college be established in the north of the city as well. Polytechnic provision. Given the fact that Auckland already has less polytechnic provision than the population demands and the fact that participation in polytechnic education and training is at half the level of the national rates, this sector is one in which large growth can be expected. This should be planned growth rather than reactive provision which always runs after demand and never quite gets there. There is probably a good case for another large polytechnic to be created in Auckland or it could be a major new campus within a federal relationship with either or both of the two existing polytechnics. A clear emphasis on growth of provision in Auckland must be on trades and technical areas (Disclosure: I work in a polytechnic) but this is essential for the skills levels of in both Auckland and the rest of New Zealand. The skill base needed to maintain industries and infrastructure and to cope with extraordinary demands such as is currently evident in the Christchurch Rebuild, the Leaky Building Response and the sheer size of the demand for new housing in Auckland. A significant portion of these new skills will have to come from Auckland. Therefore, look to see an increase in programmes such as those currently under the banner of the Youth Guarantee policy, look to see an increase in early access to vocational education and training, look to see young people get traction from Vocational Pathways and so on. In short, we are facing a major repositioning of education especially in the senior secondary school and that will inevitably be the basis on which new secondary schools and other kinds of education and training provision that will be developed in response to the new demands. You can be sure that Auckland will face changes that are dramatically more significant than those elsewhere which will be typified by a need to cope with declining demand across the education system. Sensible management of the education system will seek to maintain universities at a viable and productive size throughout New Zealand so that will be one area where Auckland students might just have to travel to access university education if they fail to secure a place in an Auckland institution. And that is not such a bad thing. We are talking about these major changes being required within 30 years. The discussion must start now. We used to talk about a hunger for learning and a thirst for knowledge. Now it seems we mostly just talk about hunger. Children cannot learn if they are hungry – we have heard this shibboleth for a long time now but it has never acquired a status of being any more than an assumption. Now along comes a research study that finds that when the assumption is tested it is found to be less than robust. Or put more strongly, there is no evidence that children who are hungry cannot learn. If, indeed, you believe that learning is not possible if you are hungry then you dismiss learning as being out of reach for quite a proportion of the world. On the other hand if by “hungry” you mean “didn’t have breakfast” then that is a different matter. I know of middle class young people who do not have breakfast – they learn and they survive in schools. Now we need to be clear that the multiple factors of disadvantage that characterise poverty will certainly act against a child’s learning. Poor health, bad nutrition, damp housing, over-crowded living conditions, low or no regular family income, all these factors will impact on a child. But these go far beyond being hungry. A lot of education systems do something about this systemic issue. In Finland all students of all ages in the education system get not only free health care but also a free lunch. They are about the same size as we are and they spend about the same amount on education. We envy their levels of achievement so anything they do should be thought about carefully. In the USA most states have a free lunch programme that is means tested one way or another. Of course that will raise cries of stigmatisation through identification of those with need but those arguments are generally coming from well-fed adults. Similarly, in the UK, children qualify for school lunches and in fact the school lunches and the “dinner ladies” have long been a tradition. A positive relationship with a dinner lady really helped one of my sons settle into an English school. But it is also in the UK that arguments have broken out about the quality of the school lunches provided by parents. Jamie Oliver even has a “school lunch manifesto”. “As many of you know I released my new school food manifesto this week outlining my concerns for school food in England today and the actions I think need to be taken by government to ensure our kids continue to get the great all round food education they need to feed themselves better in the future and to help reduce the crippling rise in obesity. I have been overwhelmed and delighted by the support I have received from you guys out there for the manifesto. So thanks and big love to my fellow school food campaigners, school caterers, the press and the general public…. the fight continues…..” All good stuff for the ratings. A Chicago principal had her own campaign and banned lunches being brought to school by students on the grounds that they were of such poor quality. Students either bought their lunch at the school dining facility or they went hungry. It is reported that quite a few choose hunger over the school-provided option. Of course some of those students might simply have no money and this is the critical issue. If providing a nourishing meal for a young person (it could be breakfast or lunch) is beyond a family then we all own an issue that needs to be addressed. When I went to school (fade in the violin music) we received a plethora of health checks and we received a half-pint bottle of milk each day. Such events were sometimes enjoyed and sometimes endured. One thing New Zealand is good at is producing food. Might not the government consider a social investment contract with food producers to supply/provide a small percentage of their production for use in schools for all New Zealanders. This would apply to the basics mostly – surely a baker could put one out of every hundred loaves aside for the schools. It might well be possible, would take a little organising and would achieve what is needed. I recall when I went to school that we would sit under the trees to eat our lunch. We had lunch boxes but many didn’t. One group of kids brought their jam sandwiches to school wrapped in newspaper. Having written that I am wondering whether that really happened or am I confusing my own experiences with those of Kezia in Mansfield’s The Dolls House. It’s funny how memory can sometimes confuse fact and fiction but that also happens in many education discussions, none more so than this school hunger / breakfast / lunch business.